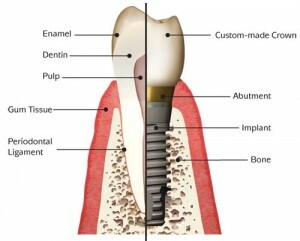 Thinking of getting dental implants in Houston, Texas? 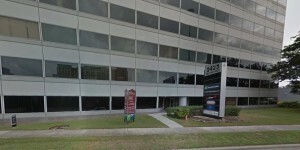 The following guide lists the top 10 dental clinics as well as what you can expect to pay for a dental implant in Houston. Click on the profile of a dentist near you to read more about them. We provide the best treatment possible in a comfortable, state-of-the-art facility where patients comes first. Our team of surgeons offer a full range of oral and maxillofacial procedures, including dental implants, sleep apnea treatment, Teeth-In-An-Hour®, wisdom teeth removal, and many other procedures. We also offer non-surgical procedures such as: Juvederm and Botox. Here we share the philosophy that the relationship between dentist & patient should be built on professionalism, respect, & most of all, friendship. They dedicate a good portion of each new patient’s visit to getting to know one another, & with a combined experience of almost 30 years, they make dental care at P+E Dental personalized and stress-free. Dr. Patel takes the time to meet each new patient and listens to the patient’s needs, desires, and fears before the patient has any treatment done. She then collects any diagnostic data including x-rays, photos and records that she feels is necessary prior to making any recommendations. 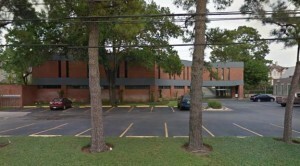 Memorial Park started with a special purpose – to serve Houstonians and her neighbors. Dr. Nishano Thomas started her practice in 2006 with the aim of exceeding people’s expectations of dental care! Dr. Thomas knew she needed to do something special and unique for her patients, so she started something amazing; a dental office combined with spa services. Dr. Thomas knew that in order to make patients feel welcome, she needed to let them relax and feel at home. Our family practice offers a wide range of services including general, cosmetic, and implant dentistry. We have been in the same location since our doors opened in 1978, and we strive to build on our reputation of excellence. It is our goal to build long term relationships with our patients so as to optimally maintain your dental health. From the moment you walk in our doors, our knowledgeable team of doctors and staff will take great care to make your dental experience a very positive one. Smile Architects is a full service dental group specializing in family dentistry & cosmetic dentistry. We have a team of specialists: a Board Certified Orthodontist (braces), a Board Certified Periodontist (gum disease & dental implants), and a Board Certified Prosthodontist (dentures). Smile Architects vision is to create a state of the art dental practice where customer satisfaction is the highest priority. 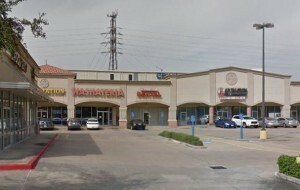 Welcome to Smile 4 Texas Dental Center! Our focus is to distinguish ourselves by providing a tailored, patient-focused experience. Our services include dental cleanings, in-office teeth whitening, fillings, root canal therapy, crowns, bridges, dentures, implants, extractions, clear aligners, and braces. Houston Oral Surgery & Dental Implant Center works hard to build a foundation of trust by treating our patients as special individuals with specific oral health needs. We strive to provide “dental health care” vs. “disease care,” and this priority sets our office apart from the rest. Dr. Donald F. Cohen, DDS, Dr. Christopher Dauterive, DDS, and their surgical staff work together to plan your treatment, ensure optimal post-operative recovery, and deliver a compassionate patient experience to ease the anxiety that any surgical procedure can cause. After becoming an expert and teaching at UT Houston dental school, Dr. Penchas founded MidtownDentistry with a dream – to give the best treatment and service possible, in the best environment. Now a three dentist group with over ten staff members, the dream continues to grow. We love new patients and invite you to visit MidtownDentistry. 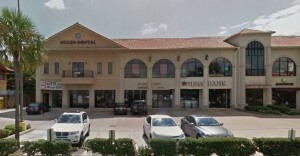 Signature Smiles offers a state of the art facility staffed with dentists that can handle all of your dental needs under one roof, located in the Garden Oaks/Heights area of Houston. 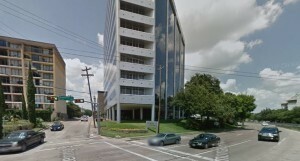 Specialties: Dr. Britt Nolen has offered comprehensive dental services in the Houston area for over 30 years. These services include routine cleanings and exams, low dose digital X-rays, Sedation Dentistry, Gum Treatment, Restorative Treatment, Surgery and Cosmetic Dentistry.